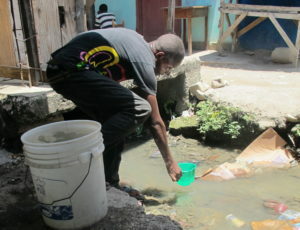 On Friday the 17th of August the PWW Haiti team officially launched the “Community WASH in Léogâne & Darbonne” project. This is Pure Water for the World’s newest project, and the team will begin assessment and baseline studies in the following months. Located 42 km west of Port-au-Prince, Léogâne was the epicenter of the 2010 earthquake, during which time 90% of the buildings were damaged or destroyed and tens of thousands of lives were lost. 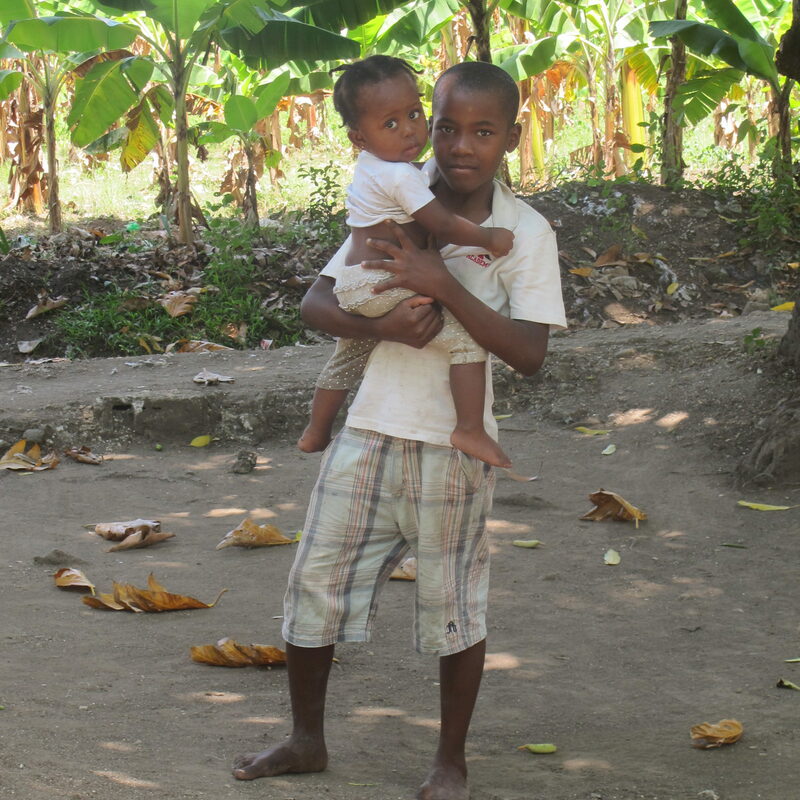 Darbonne, located within Léogâne, epitomizes a community without access to basic needs. Situated on river bottomland, Darbonne’s primary water sources are shallow unprotected wells, rivers, and seasonal streams that are inundated with waterborne pathogens. Sanitation coverage is, on average, 30% and open defecation is common. These factors contribute to significantly reduced health and productivity among residents. 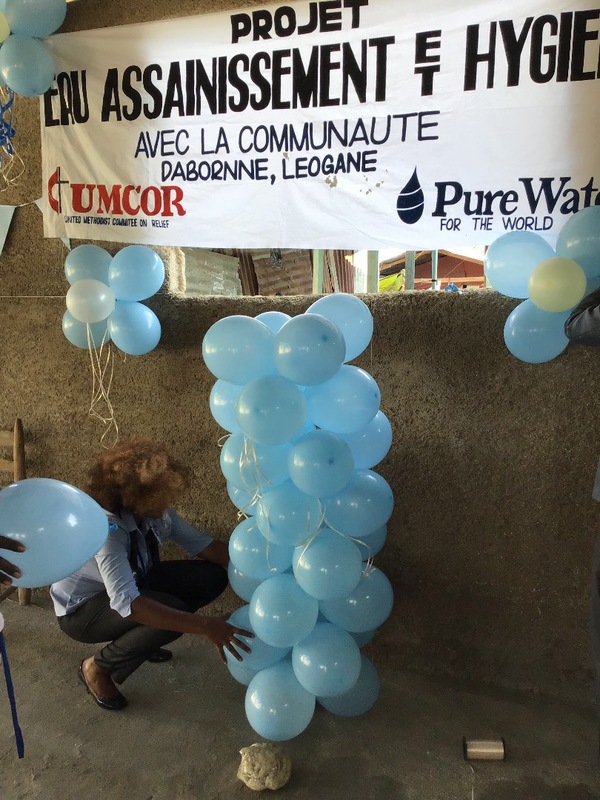 PWW’s project will include installing clean water filters in 200 family homes (reaching 1,260 people), located in Darbonne, complete with safe hygiene training. Local Community Agents will receive extended WASH (water, sanitation and hygiene) training to take on the responsibility of maintaining the project after installation. PWW’s team will continue to monitor and follow-up, after installation, to ensure the correct and consistent use of the tools and practices. As part of this project, PWW will also be implementing comprehensive WASH programs in four schools (reaching 600 students and 15 teachers), which will include: clean water filters, latrines, hand-washing stations, rainwater harvesting systems, hygiene education (include menstrual hygiene management) and teacher WASH education. The project, funded by United Methodist Committee on Relief (UMCOR), is expected to be completed by December of this year. The kick-off event was a success! Darbonne community members, along with local organization representatives, city and regional officials, educational board members, religious leaders, and local business owners joined in the celebratory events. 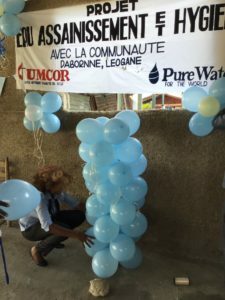 The kick-off program lasted around three hours, during which time there were speeches and remarks from community members, local officials and members of the Pure Water for the World Haiti team. PWW’s mission and global trends concerning the WASH sector. How the organization functions and how projects are implemented: from grant writing, to securing funds, all the way to installation and training in the communities in which we work. The main objectives of PWW projects. And, PWW’s three areas of focus: Safe Water, Sanitation, and Hygiene. 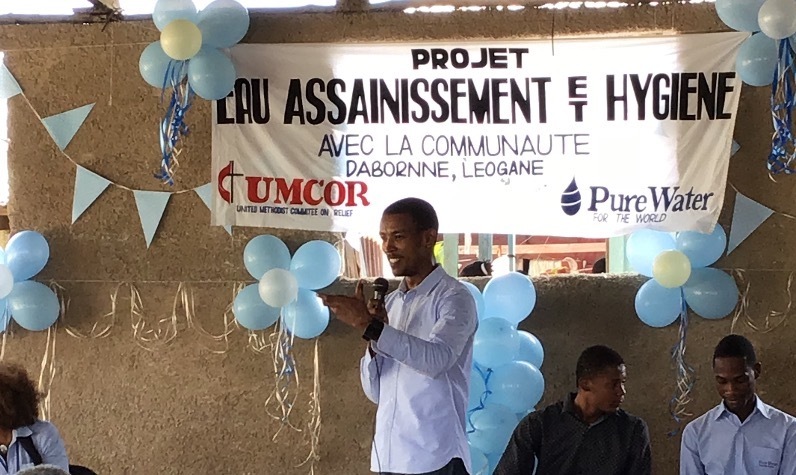 David also spoke about PWW’s relationship and direct collaboration with Haiti’s National Water Authority (DINEPA), Haiti’s Ministry of Public Health (MSPP), and Haiti’s Ministry of Education (MENFP). The microphone was then handed over to, Colby Poyot (pictured), PWW’s Field Coordinator. Colby introduced himself and the various team members who were present, allowing each team member to speak on their respective roles with regard to this project and its implementation timeline. Colby then opened the floor up to community members who wished to speak, addressing questions and comments regarding the project. Local community members expressed gratitude and commended PWW for the project objectives and goals. They are eager to get started! WASH Success Stories Community, Haiti, safe water. permalink.